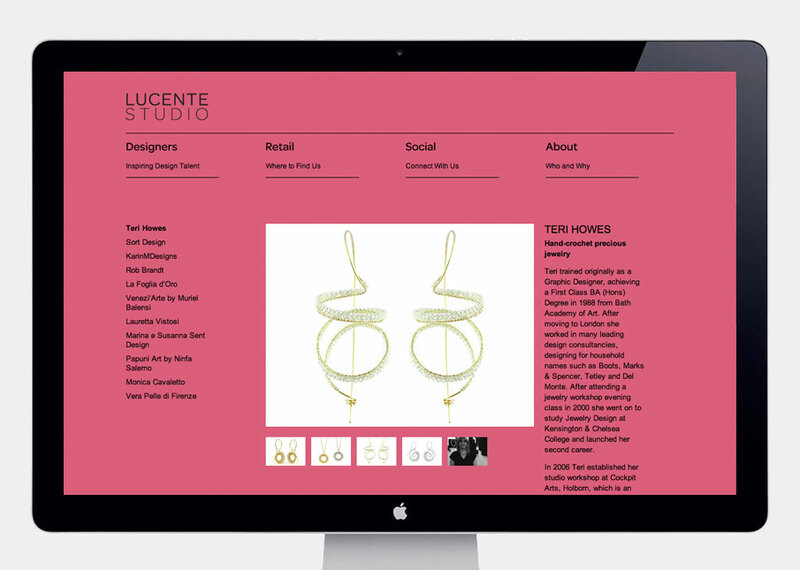 Lucente Studio curates and imports unique, non-commercial, artistic jewelry and modern design. Lucente, (shiny in Italian), boasts a holographic foil stamp for the logotype on printed pieces. Head on, the type looks subtle and silver, but when tilted or hit by light in different ways, other colors shine through. The colors are a nod to the word shiny, but also a reference to the variety of products Lucente promotes.